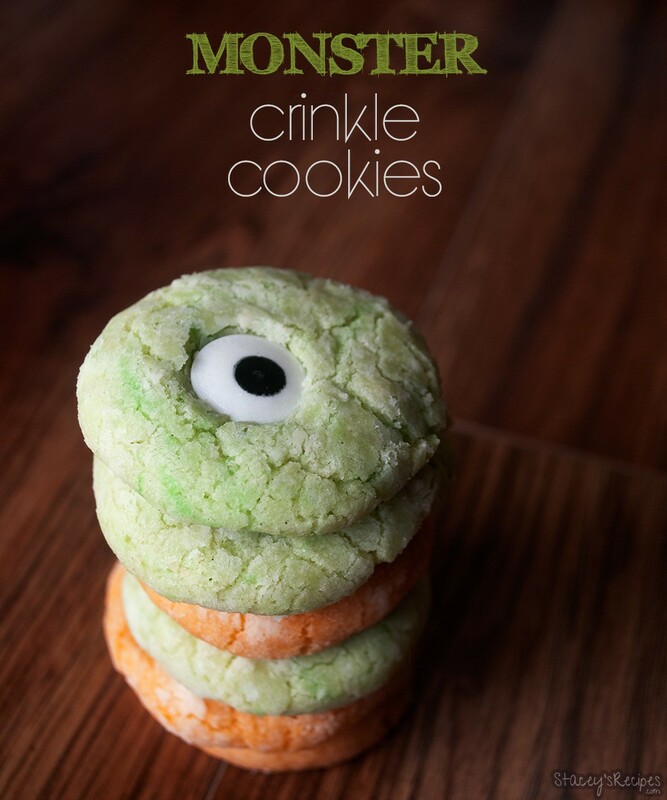 Soft and sweet monster crinkle cookies that your kids and friends will love! 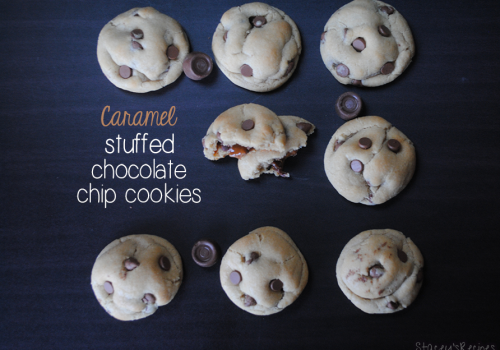 These cookies are an easy Halloween treat that everyone will want to try! You’ll be surprised at how quick this recipe comes together, and is a great one to make with your kids! They’ll have fun rolling the dough in the powdered sugar and sticking the candy eyes into the cookies. 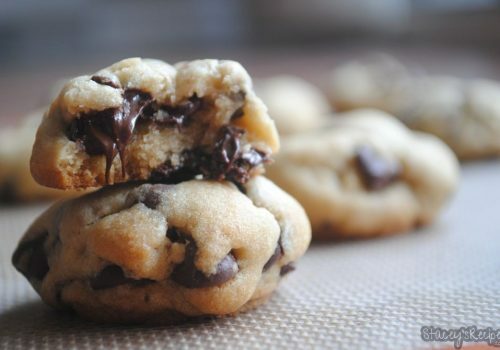 My favorite part of these cookies, is how good they make your house smell when they’re baking. They fill your house with a warm vanilla – my favorite scent. They also taste just as good as they smell and look. They really didn’t last long. I could hardly keep the boys’ hands out of them when they came out of the oven. 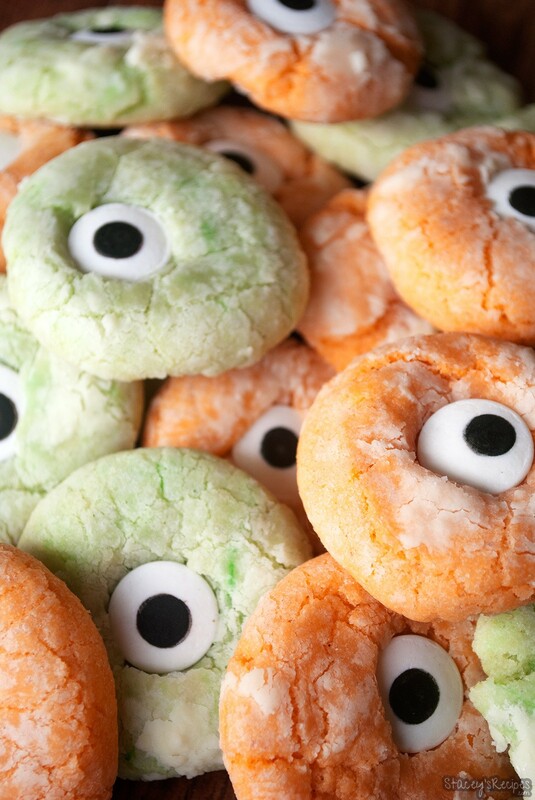 Send these to school with your kiddies for a Halloween treat, or ditch the candy eyes and make them for yourself! 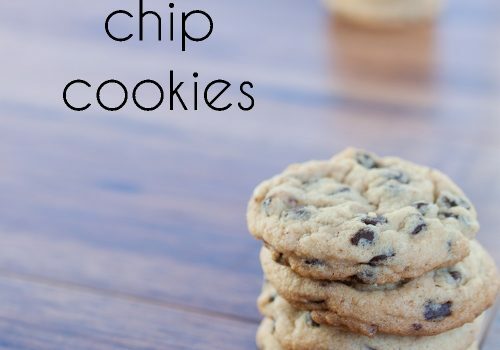 You deserve a cookie, or two! Preheat your oven to 350 degrees and line your baking sheet with a silpat or parchment paper - set aside. Using a stand or hand mixer cream the butter and the granulated sugar together until light and fluffy. Add the egg and vanilla extract until well mixed. Slowly add the dry ingredients to the wet ingredients until just mixed. Add the food coloring of your choice - I split my dough into 2 and used green for one and orange for the other. Scoop about 1 tablespoon of dough and roll into a ball. Roll the ball of dough onto the plate of powdered sugar - being sure to completely cover the dough ball of dough. Place on baking sheet and repeat with the rest of the dough. Bake for 10 minutes - until the edges look slightly golden. 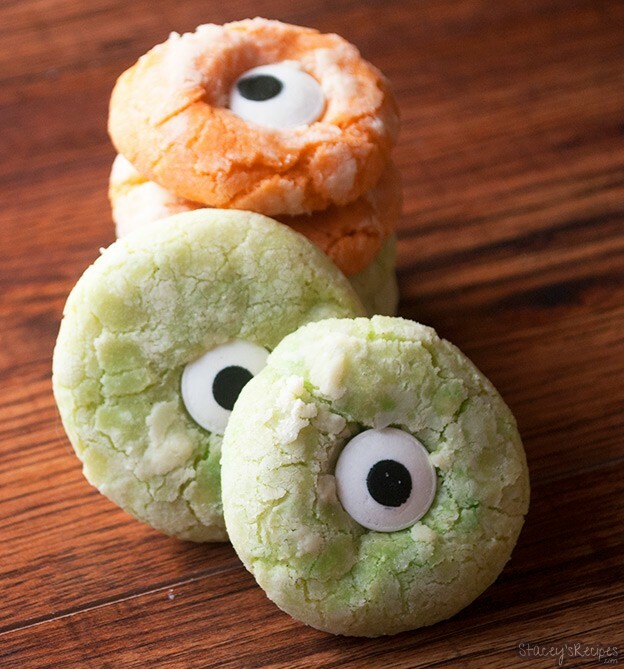 Once removed from the oven press your candy eyes into the cookie and let completely cool.